Maximize SEO value of your e-commerce site with the help of customer reviews. Improve your store credibility by nurturing the relationship with clients. 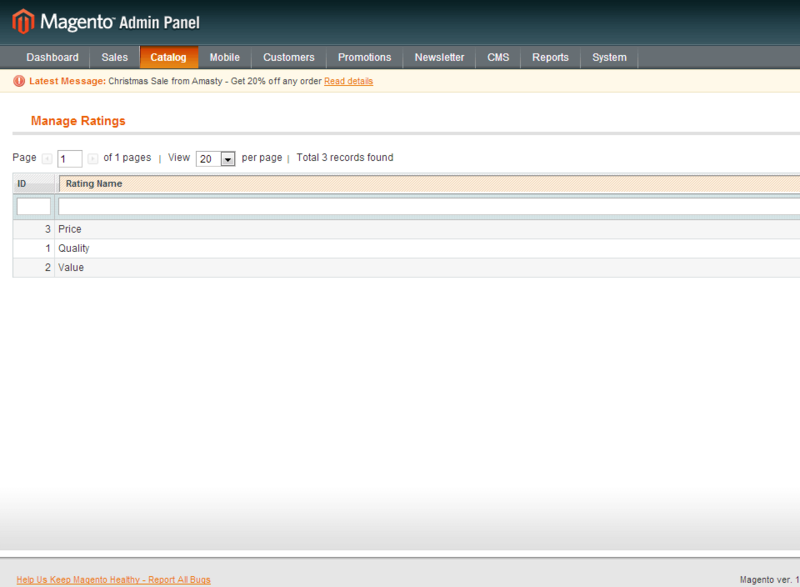 With the advanced Product Reviews extension you can place online shopper reviews instantly on product pages in Magento. Product reviews help customers to make a choice and get rid of their hesitations. Customer reviews are perhaps one of the most powerful content placed on any product page. They not only motivate customers to make purchases but also serve as an efficient element of website search optimization. Customer reviews provide a fresh pile of content allowing new customers find your products through search engines. How to make review page URLs SEO-friendly? 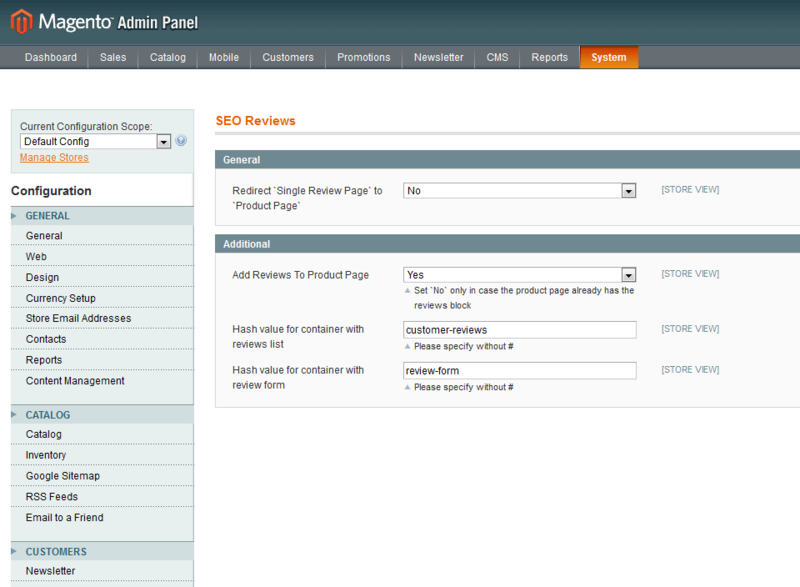 Product Reviews tool enables you to create SEO-friendly URLs for customer review pages. Thus you get the exclusive landing pages boosted more web traffic to your store. If you are running a Magento store you have to face some default Magento options which cause two big troubles: reviews content duplication and non-SEO friendly URLs on review pages. If you ignore these important issues your site pages can be penalized and pushed down in search results. How to avoid duplicate content on review pages? Product Reviews Magento extension suggests the ways of overcoming this rocky road to reach high SEO ranking. Assume that you have reviews on product page and they are duplicated on user review aggregator page that shows snippets of all user reviews with pagination and then the review content is duplicated on the page with full user review. 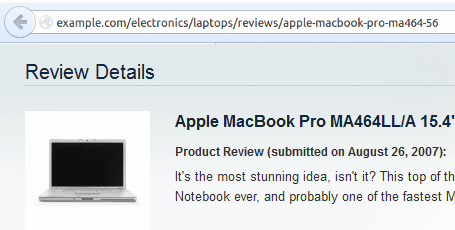 "Two pages" solution: send your customers directly to full user review page from product page (excluding the review aggregator page) and give the full user review page its own unique URL with necessary key words. It concerns the cases when the full user review page can be an efficient landing page or it’s too large to locate fully in snippet because describes product with complex functionality. The quick redirect option will visibly improve customers' experience and help them quickly switch to the necessary page just in one click. "One page" solution: show customer reviews right on the product page excluding both the review aggregator page and the full user review page. Finally all customer reviews are loaded only on the product page. 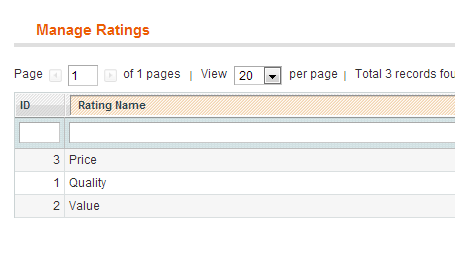 Add star ratings on your product pages in Magento. With their help you'll provide store visitors with easy-to-perceive product quality mark, so customers will see at once which products are really worthy. With customer reviews Magento extension you can easily monitor product ranking that help you to better understand client needs and update the product on-the-fly. Being the efficient tool of enhancing your store profits and credibility the Product Reviews extension for Magento will become a valuable investment in your business! I have purchased this extension couple of weeks ago & is very happy with it. The amasty support is extra-ordinary & they are very cooperative! Love the extension & their support.............would definitely recommend! I used to have product reviews on separate pages which was really inconvenient. Customers prefer to have all product info, including reviews, in one place so adding reviews to product pages became our priority as their number was growing. 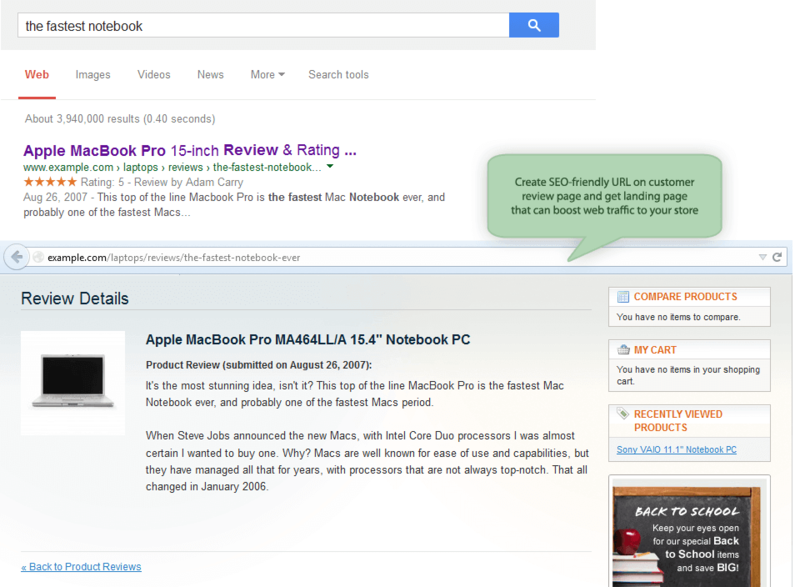 The Amasty extension gives a few choices to display reviews: on 3 different pages, 2 pages or just on product pages. I chose to have testimonials on product pages only. We sell agricultural equipment and our customers usually write 2-3 sentences to share their experience, thus we don’t need to give each review a separate page additionally. With that extension we managed to achieve what we needed, it worked out of the bo x: no bugs, no installation conflicts. It’s very effective in combination with review reminder. This is my first extension by Amasty and I won't hesitate to buy another one. The installation went smooth and the overall impression is positive. However, there are some things I would change. Anyway, there is always room for improvement.